Tue., Jan. 22, 2019, 9:44 a.m.
Where: Tuesday: Spokane Community College, Lair Auditorium, Bldg. 6, 1810 N. Greene St. Wednesday: SCC Library, Hagan Foundation Center for the Humanities, Bldg. 16. 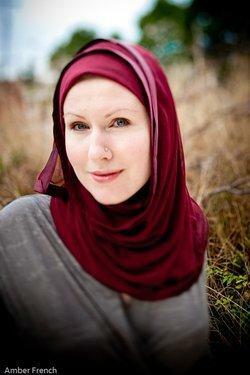 Writer G. Willow Wilson read her first superhero comic, an X-Men-themed anti-smoking booklet, as a nine-year-old in fifth grade health class. Years later, Wilson has turned comic books from schoolwork into a full-fledged career. From 2014 to February 2019, Wilson penned “Ms. Marvel” starring Kamala Khan, Marvel’s first Muslim character to headline her own comic book. In an open letter, Willow, who co-created Khan with editors Sana Amanat and Stephen Wacker and artist Adrian Alphona, announced that she would be handing over the reins to Saladin Ahmed after having written 60 issues. Willow is not taking a moment to rest, however; her third novel “The Bird King” will be released in March. Published: Jan. 22, 2019, 9:44 a.m.